When Jennie tweeted about these bows by Beauxoxo I couldn't resist. I am a pure magpie, instantly drawn to anything that sparkles! 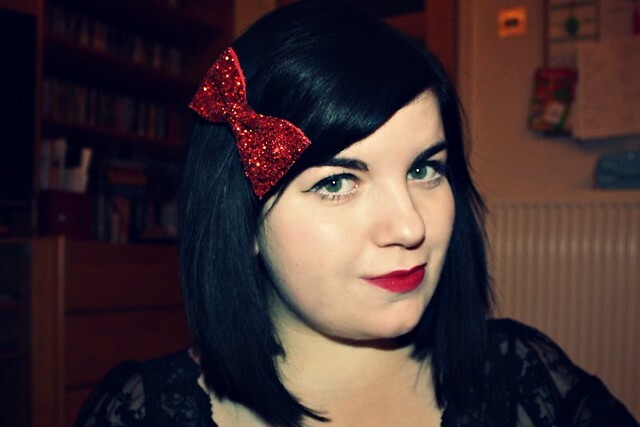 These were exactly the type of bows I was trying to find and for only £4 I snapped three up right away. I ordered these at 1pm and they were with me the very next day. How amazing is that? They're beautiful and wonderful quality, very sturdy and no glitter falls off! 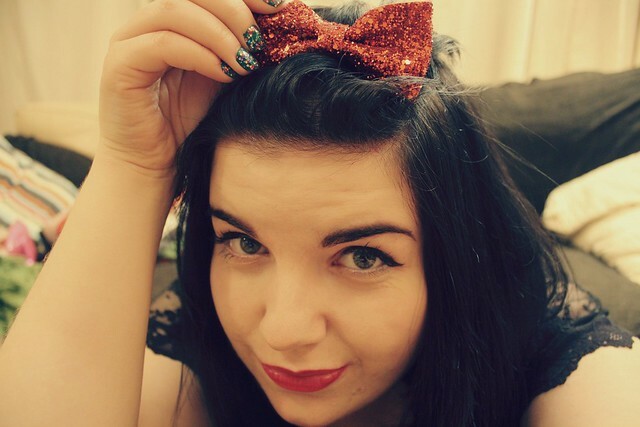 Decorating everything in glitter and bows is definitely how I get into the Christmas spirit! those bow's are sooo cute! The second picture of you there is simply adorable!!! Love the OPI nail polish too - I have serious lust for it AND the bows now too! They're gorgeous! 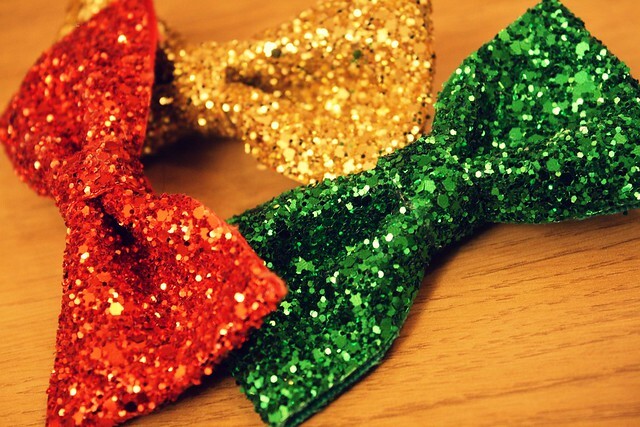 What adorable glittery bows, I too am drawn to anything glittery and shiny. They are gorgeous! So Christmassy - I'm tempted to get one! Beautiful! 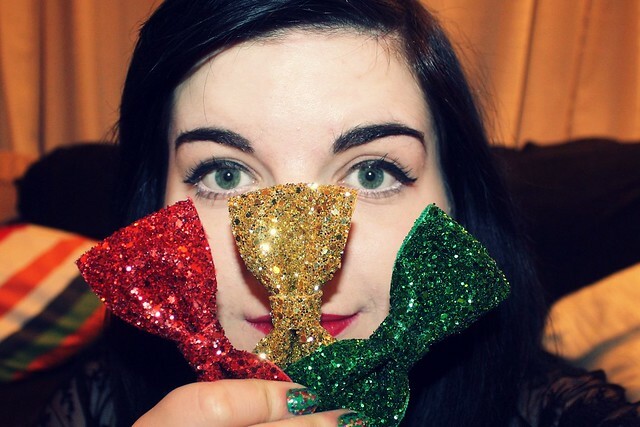 The bows are so lovely, perfect for Christmas. That bow is too pretty - so cute! What a bargain, I am very tempted! 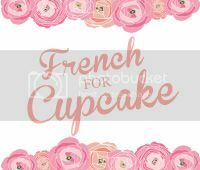 ooooh lovely >U< indeed tempting for the season !!! 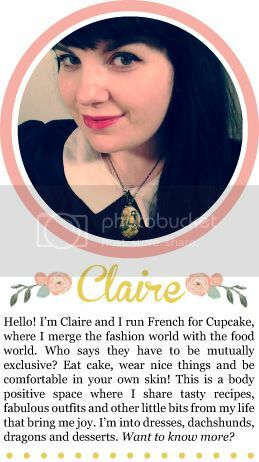 Hi Claire, thank you so, so much the incredible post about my shop and hair bows. I can't thank you enough! You look absolutely STUNNING in them, and they were totally made for you. I can't begin to tell you how happy it makes me to see things I make go to such a fantastic home! :). Oh my how cute are they?! My girls would adore these. 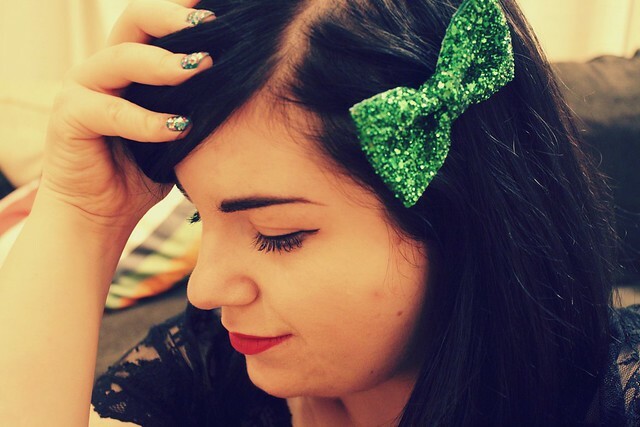 You are too gorgeous, I love these glitter bows!